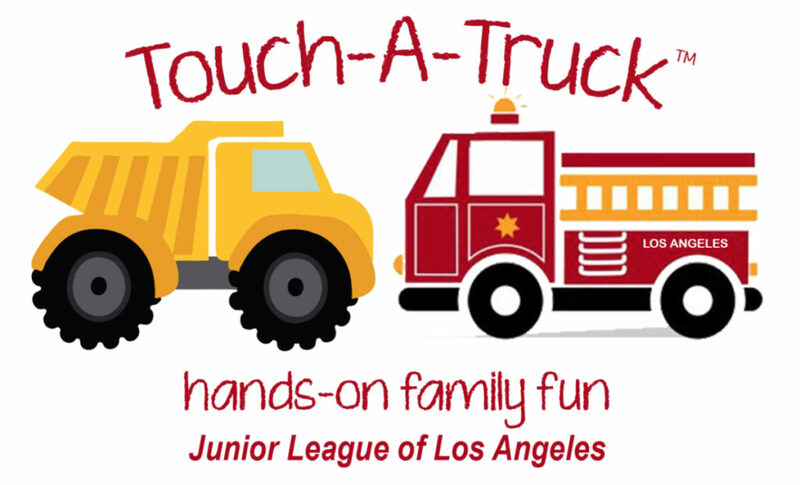 Touch-A-Truck™ is a family-friendly event designed to allow children to explore, climb, and TOUCH vehicles of all shapes and sizes. There will be fun for everyone in the family – meet the people who build, protect and serve Los Angeles County or get creative at the arts and crafts table. Hungry? Food trucks will be on-site offering lunch and snacks for purchase. Our first Touch-A-Truck™ was a huge success, with 16 civic and commercial vehicles and dozens of volunteers coming together to put on an amazing event that over 1,500 children, parents, grandparents, couples and friends attended. Over $30,000 was raised for the League’s volunteer projects, programs and community outreach efforts. We hope to see you at our second annual Touch-A-Truck™ ! Due to the noise and number of children at the event, only licensed service animals are allowed. Tickets will be available at the door: $10/Single Rider, $35/Family Van (4 tickets), or $125/Bulldozer Bundle (14 tickets). Guests under the age of 3 do not need a ticket, but will need to be included on the Waiver. Click here to learn more about the amazing trucks that will be at the event this year! Thank you to the incredible donors without whom this event would not be possible! Tickets: Tickets may be purchased when you arrive at the event. If you purchased online, you will not need to bring physical tickets or a confirmation email with you – your name will be on a check-in list at the door. Everyone age 3+ will need a ticket to enter the event. However, the food trucks will be selling snacks for purchase outside the ticketed area. Location: The event will be held in the southeast parking lot of the Westfield Fashion Square Mall in Sherman Oaks, CA, behind the Bank of America/Ross buildings. This is at the corner of Riverside Dr. and Woodman Ave. Parking: Free parking is available on-site at the Westfield Fashion Square Mall. Please do not park in front of the Bank of America/Ross buildings. Hours: The first two hours of the event (9am-11am) will be Quiet Hours where no horns, sirens, or flashing lights will be allowed. This is perfect for very young children or children with sensitive ears! From 11am-1pm, children will be encouraged to honk the horns, sounds the sirens, etc! We will have complimentary earplugs available on-site. Weather: This is a rain or shine event! If it is a beautifully sunny California day, feel free to take a break in the shade at our craft table or under a tent near the food trucks. We will also have complimentary sunscreen available. However, the majority of this event will be without any covering. Restrooms: We will have bathroom trailers on site, including an ADA-accessible restroom. We will also have a few New Mom tents available for new mothers who would like some privacy while nursing. Food: Food trucks will be on-site offering lunch and snacks for purchase – see who’s coming here! This is a non-alcoholic event. If you are interested in becoming a sponsor please click HERE.